True artists know to trust the instincts of their hearts before the knowledge in their heads. 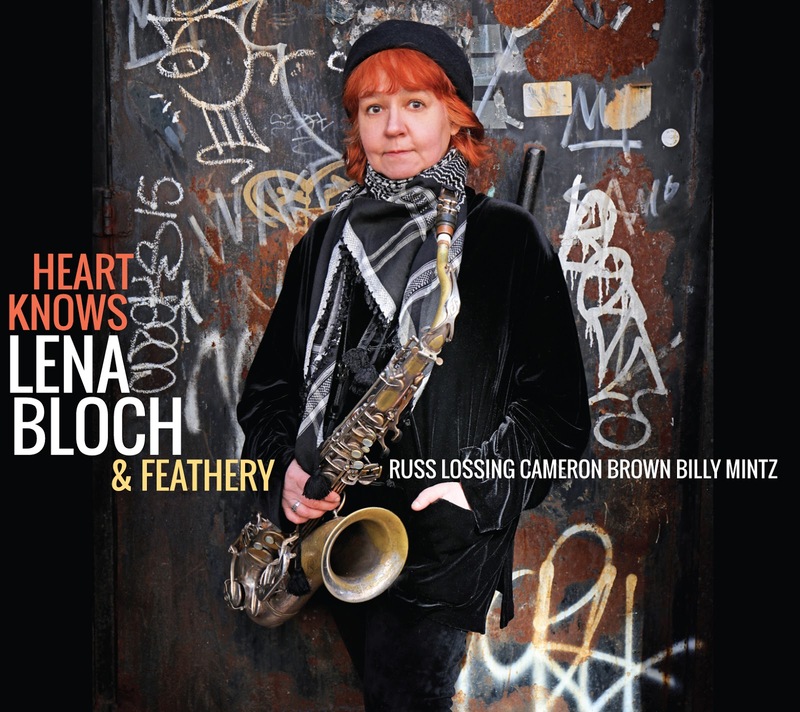 The title of Heart Knows, the new album by Russian-born, Brooklyn-based saxophonist Lena Bloch and her quartet Feathery, expresses that sentiment with succinct assurance. The same could be said for the music made by these four remarkable musicians, which conjures a singular and striking group sound from four individual voices given the freedom to follow their own hearts. With one significant change, Feathery the group is an evolution of the quartet that appeared on Feathery, Bloch's 2014 debut. Heart Knows, out September 25 on Fresh Sound New Talent, welcomes back bassist Cameron Brown and drummer Billy Mintz, while adding pianist Russ Lossing, who also contributes half of the album's compositions (Bloch herself penned the remaining half). Though each of the pieces begins with written material, the sole guiding principle for Feathery was to leave plenty of space for what Bloch calls "spontaneous collective composing and instant musical communication." 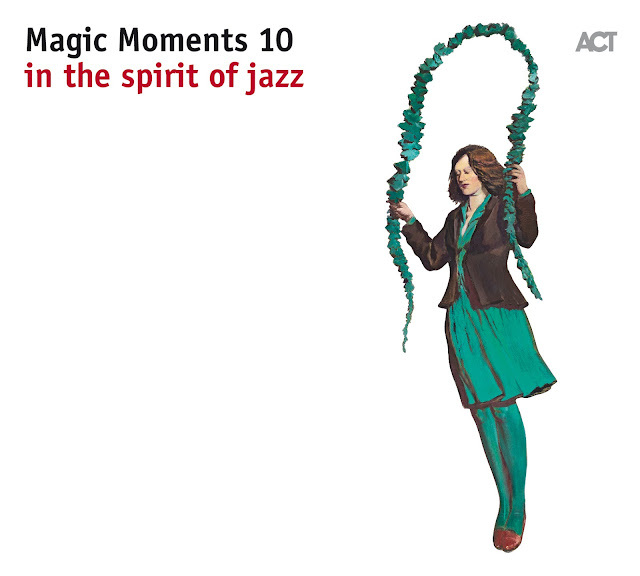 In part that approach was inspired by one of Bloch's mentors, the legendary saxophonist and innovator Lee Konitz, who she says "taught me that improvising and spontaneity is what makes our music so fresh and timeless." But to a perhaps even greater degree, the spark that ignites in Feathery comes from her collaborators - whom she refers to, borrowing one of Lossing's titles, as her "Three Treasures" - whose fearlessness spurs one another on to ever greater heights of invention. "We're not trying to produce something already contrived beforehand," Bloch insists. "Jazz doesn't have to be risk free - on the contrary, I think risk is a great factor! Because I trust the professionalism and experience of these people, risk and challenge only facilitate the result. The less safe we all feel, the better it is for the music." The unique combination of following a spontaneous instinct wherever it might lead and creating a sound that stands on its own distinctive merits is captured by the band's whimsical name. It suggests something lighter than air, diaphanous and Feathery's music is that, certainly. But as Bloch also points out, "A feather is something that drifts in the wind. At the same time it is a very beautiful, concrete object. The beauty of a feather is in its submissiveness and its openness to change, but at the same time it has beauty in itself." 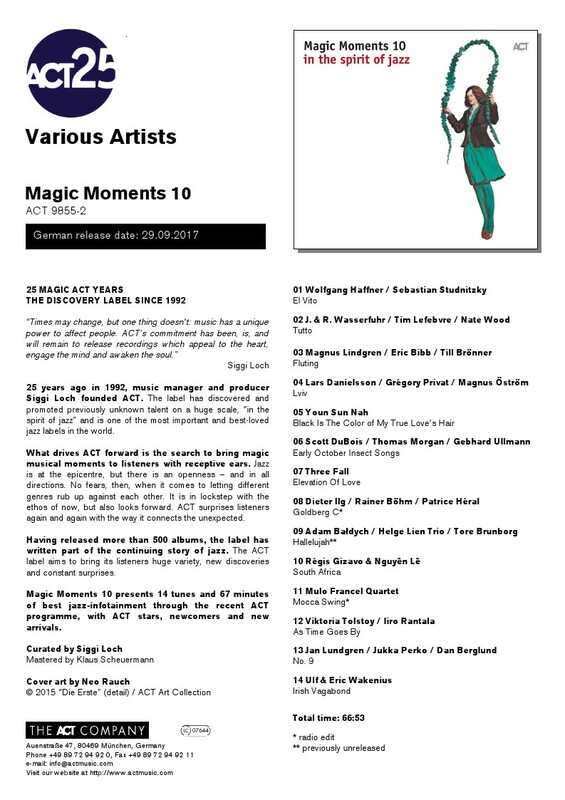 The music itself draws on a wealth of inspirations as Bloch points out in the liner notes, there are aspects of 20th and 21st-century classical music, Eastern European and Middle Eastern traditions, and of course modern jazz and improvised music. But all of these have been absorbed and emerge organically from the group's interactions with one another, with an intriguing freedom that calls to mind the work of the Tristano School or Paul Motian. The music moored by the compositions in the way a kite is moored by its string - kept in tenuous touch with the ground but allowed to float free and be carried along by the prevailing winds of the moment. Another key touchstone is paid homage in the album's 12-minute opening track, "Lateef Suite." Bloch studied with the late Yusef Lateef in the 1990s, and there's no doubt that the revered multi-instrumentalist and composer made a lasting impression on her as a saxophonist and as a composer. But "Lateef Suite" doesn't draw on his teachings which drew upon 12-tone serialism as well as Asian and Middle Eastern modes as much as it does Bloch's more personal memories of her departed teacher. "It's not theoretically related to what he taught," she says. "It's more of an emotional impression of how I felt about his impact." The title track follows, rife with an enticing but elusive lyricism. Mintz's shimmering brushwork sets the ethereal stage for Bloch's supple, keening tenor and the mysterious musings of Lossing's pianism. The aforementioned "Three Treasures" insistently returns to its exotic opening melody, putting the quartet through tensely recursive paces. Lossing's "French Twist" reharmonizes J.S. Bach's French Suite in D Minor, playfully referencing a stylish hairdo in its title. "Esmeh" translates to "name" in Farsi, pointing to another unexpected shift in the wind that guided Bloch to a study of Persian music. Middle Eastern influences also emerge in "Munir," a dedication to the iconic Iraqi oud master Munir Bashir. Lossing's opening on muted piano strings evokes the sound of the oud, while Brown's bass line is an interpretation of a Bashir improvisation. Significantly for Feathery's ethos, Bloch says, "In the Middle East improvisation is equal to composing. Just like in jazz, you can't generally distinguish between composer credits and improviser credits. Bashir was a genius composer-improviser and I always loved his playing." Lossing's "Counter Clockwise" is the album's most traditional composition, a poignant ballad that takes its time unfolding. The album closes with "Newfoundsong," which captures the pianist's first impressions of the remote and beautiful Newfoundland. As throughout the album's eight tracks, Bloch and her quartet freely blur the lines between composition and improvisation while maintaining an alluring cohesiveness by trusting, always, what the heart knows. Born in Moscow, Russia, Lena Bloch immigrated to Israel in 1990 to attend Rubin Academy of Music and Dance - and since then has traveled the world, performing in Israel, Holland, Italy, Germany, Belgium, England, Canada, Russia, Slovenia and the United States. 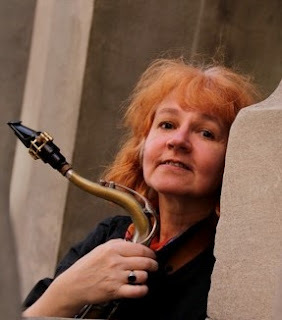 Lena has studied with Yusef Lateef, Billy Taylor, Joe Lovano, Kenny Werner, Dave Holland, and her most important mentor, Lee Konitz, at such institutions as UMass Amherst, Cologne Conservatory, Germany, and the Jazz Workshop in Banff, Canada. Since 1993 Lena has been leading her own quartet and trio, combining influences from the European Classical tradition, Middle Eastern and Turkish music, and jazz. She moved to Brooklyn in 2008, releasing her debut album Feathery (Thirteenth Note) in 2014. The quartet from that album has evolved into the band of the same name, which features the gifted improvisers Russ Lossing, Cameron Brown and Billy Mintz. 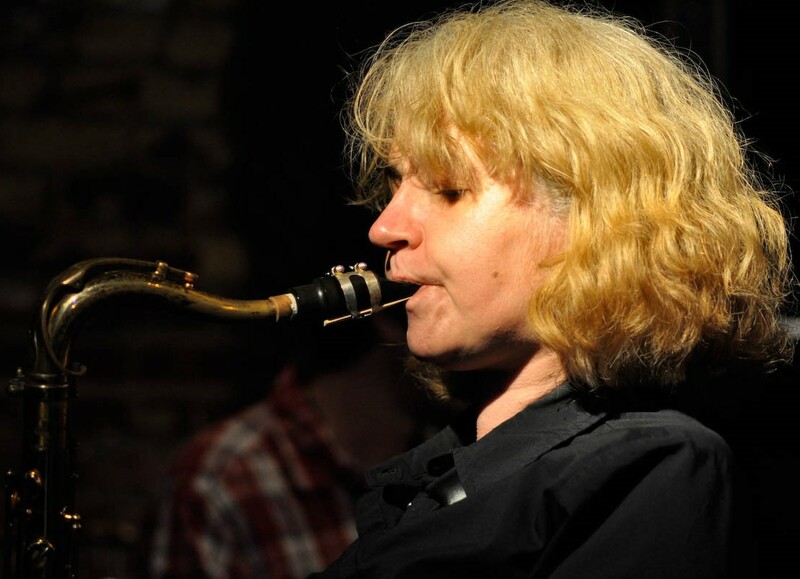 Lena is also an active woodwinds and jazz improvisation instructor and clinician, a member of the Jazz Education Network, and a faculty member at Slope Music in Brooklyn. 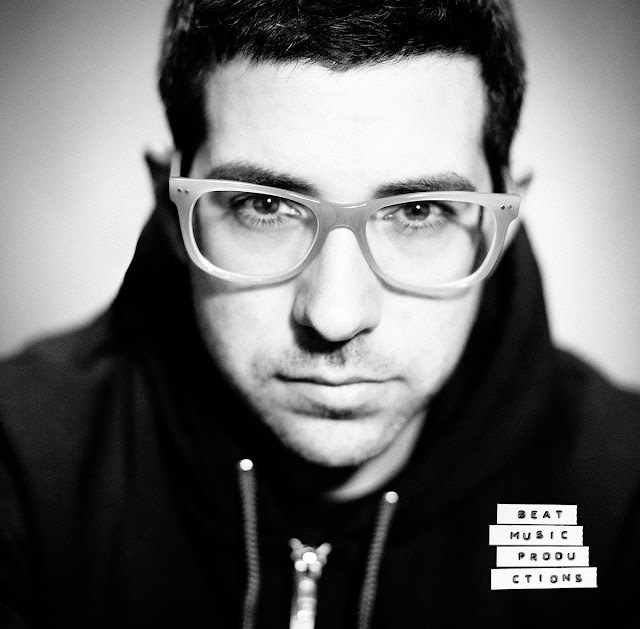 As both leader and collaborator, the versatile drummer Mark Guiliana spends much of his time exploring jazz’s fascinating fringes, producing some of his best music in the place where EDM and free-improv intersect. With 2010’s Beat Music, Guiliana honed in on a crisp and intelligent electro-jazz sound that would become an integral facet of his jazz identity, one that he would develop further alongside pianist Brad Mehldau on 2014’s Mehliana: Taming The Dragon. And in 2016, he famously served as the drummer for the backing band on David Bowie’s final album, Blackstar, in a combo led by tenor saxophonist Donny McCaslin. With his latest album, Guiliana returns home—in more ways than one. Due out Sept. 29 on the Motéma label, Jersey finds the drummer at the helm of a straightahead jazz quartet featuring saxophonist Jason Rigby, pianist Fabian Almazan and bassist Chris Morrissey. What’s more, the program presents original music by Guiliana and his collaborators in an entirely acoustic environment, a tactic that, for Guiliana, presented both opportunities and obstacles. The album is also a tribute Guiliana’s geographical roots. 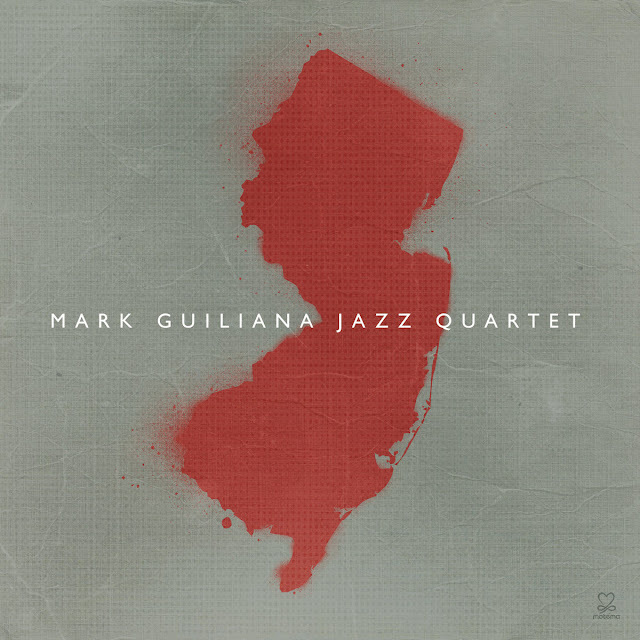 Born and raised in 1980 in Florham Park, New Jersey, Guiliana first discovered jazz in high school through his first drum teacher Joe Bergamini, and later graduated from William Paterson University in Wayne. He held longtime residences in Jersey City and Hoboken, and now resides in Madison with his wife, singer Gretchen Parlato, and their toddler son.